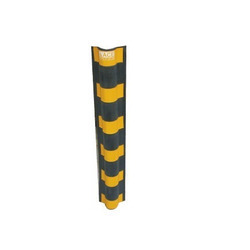 Providing you the best range of corner guard and corner protector with effective & timely delivery. Ideally suited for indoor or outdoor parking areas, these Corner Guard provide for durable usage in safeguarding vehicles from getting damaged. Developed from superior grade rubber, these are extensively used in indoor and outdoor areas and protect vehicles from scratches and dents when they are parked next to walls. 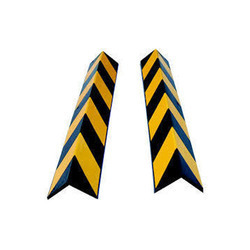 Other than parking areas, these corner guards are also suited for use in areas like factories, loading docks and others. We can make these available in different color choices with quick installation support using epoxy and spikes. Coming with pre-drilled holes for easy installation using screws and plastic anchors, some of the other advantages of these corner guards include skid resistant base, moisture and temperature resistant, available in brighter color for greater visibility and others.